Local Search is becoming the primary method of locating a business or product. Without Local SEO, your business is losing business and new clients. Local Search Engine Optimization is designed for businesses serving local clientele in a specific geographical area. Also called geo-marketing, Local SEO can make your business dominate your target market! Can your business be found on the Internet with a local search? Simple Test. Open your favorite Search Engine � Google.com, Bing.com or Yahoo.com. 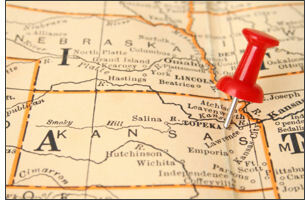 Enter your product or service plus your city and state � example: �Plumbers in Topeka KS�. Does your website display in the results? If it does, congratulations! If not, call NexLynx today to dominate your target market! As a business owner, you have a fantastic opportunity to reach a whole new set of customers! Search engines such as Google, Bing, Yahoo and others have recognized and revolutionized how we access information. Search engines have changed how we shop, how we research, how we spend our free time. Technology experts around the world state the world of mobile search has taken off in 2011. With sophisticated devices like the iPhone, Android and Blackberry, mobile searches are primarily going to pull their results from Local Search Engines. In fact, 1 out of every 3 mobile searches has a local intent. The important thing to know about local searchers is that they shop and research online with the intent of purchasing offline. If you want your business to dominate your target market, contact NexLynx today to get started. Local Search Engine Optimization is mandatory if you want to have success in Local Search results. NexLynx will help your website be there when people search local! Annual service with quarterly reviews and results reports; minor website modifications to optimize your local SEO.